MJ just completed his first week of school. He was a star and we were very proud of how he calmly took everything in his stride. He happily attended every day, he excitedly told us about what happened during his day and he wasn't tired at the end of the week. Fingers crossed this continues every week for the next 13 years! In order to prepare for the daily lunches (his finishes at 1.15pm but they still manage to find two times to eat in the day!) I set aside some time on the Sunday before he started to batch up some lunch box treats. I picked three recipes that used minimal equipment (one bowl, one food processor, one set of measuring cups and a slice tin), required little time (excluding baking time each recipe takes less than 5 minutes to mix up) and still added some nutritional value to the lunch box (reduced sugar, some hidden veggies, fruit and some whole grains). So which three recipes made the cut? Apple Slice from In Clare's Kitchen - so good it crashed her site! 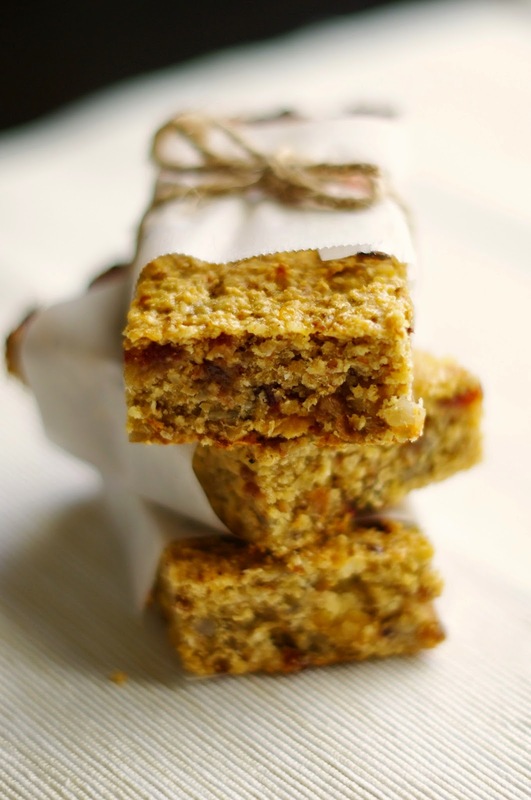 and the recipe I am sharing today, my own Fruit and Oat Bars. The apple slice was actually more for my husband and I made my usual healthy substitutions. I have previously made it exactly as the recipe states and my husband didn't recognise any changes in taste or texture when I made these changes. I halved the sugar to 1/2 cup, used 1 cup wholemeal flour and 1 cup white flour and because I had not butter, I used canola oil instead. I also used a 820g tin of diced apple instead of fresh apples. By using the canned apples and canola oil I literally made this cake mix in under 5 minutes. The chocolate component of the slice got the Chocolate and Carrot slice over the line from other options. I made them using the ingredients as the recipe states however in order to limit the dishes I mixed it in the food processor and made it as a slice instead of cupcakes as that was the equipment I had used to make the fruit and oat bars. Using the food processor meant I grated the carrot in no time and everything else was mixed in 20 seconds so melting the coconut oil was the most time consuming part of the process! And finally these little babies. The food processor makes light work of the preparation and they keep well in the fridge for a week. I froze half of this batch and half of the chocolate and carrot slice to use this week. For less than 30 minutes work I had enough lunch box snacks for 2 weeks - winning! 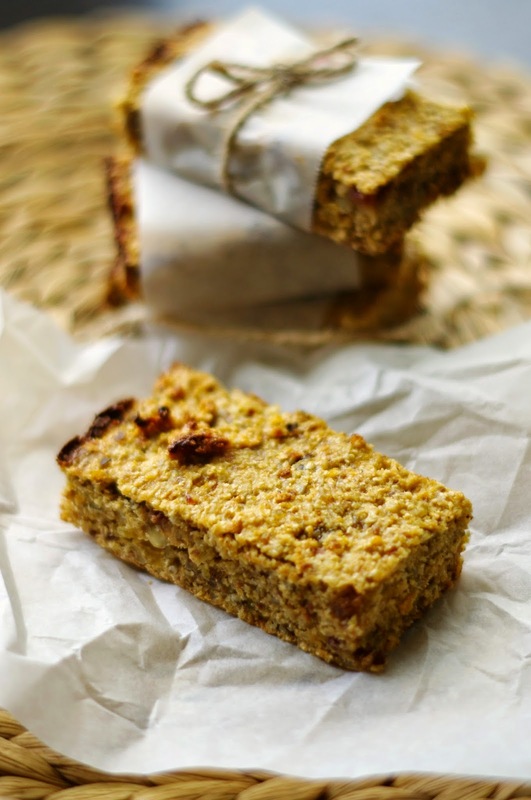 My boys like the softer and chewier texture of these bars compared to more crunchy muesli bars. This works well with any dried fruit and you can substitute pepitas for the sunflower seeds. 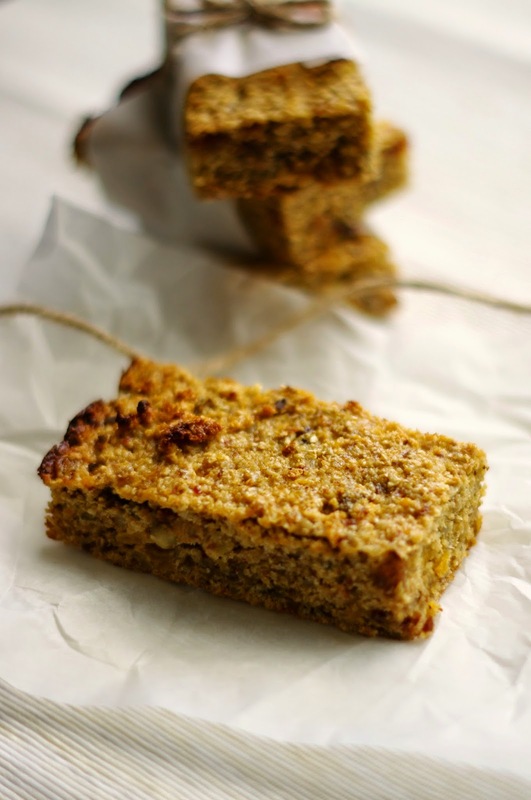 I sometimes use bran instead of wheat germ and you can use more seeds or flour if your school is nut free. Process all ingredients, except for eggs and honey, in a food processor, pulsing until finely chopped. Add eggs and honey and pulse until well combined. Press into slice tray lined with baking paper and bake in 180 degree oven for 20 minutes. Cut into bars or squares and store in fridge. Slice can also be frozen. What is your favourite lunch box snack? 3 great lunch box snacks - will have to add them to my pinterest board. I'm getting used to the whole lunch box packing thing so they will no doubt come in handy. Now to plan for this weeks batch up - I'l have to check our your pinterest boards for inspiration! Happy to help with some new ideas! They look yum! Unfortunately our kindy food rules are so strict, I can't send this kind of thing. But my other kids would love it. I'm actually not sure what are exact food rules are, I guess they aren't that strict or I'll be getting a note in the lunch box soon! They sound delish! I've been wanting to make something similar to this since Dave got his food processor because I need to take snacks to Tafe with me, and it would be good to have some on hand for the girls who seem to be hungry every second minute of the day that they are awake! I shall have to give this a go. 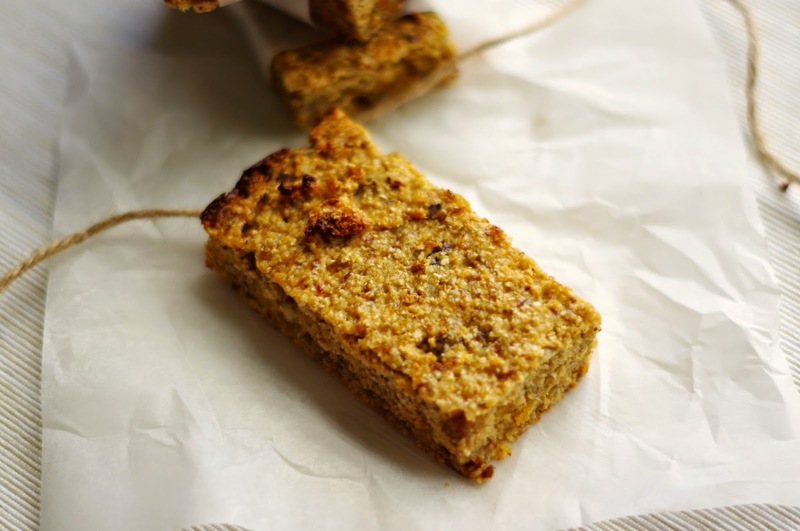 Your fruit and oat slice looks delicious! Thanks for linking back to my apple slice, it's my favourite.